Canmake is celebrating their 6th anniversary in the Philippines this year, and we want to see you there! Learn how to create a cute spring look with our editor Liz Lanuzo as she walks you through the Japanese beauty aesthetic, and how you can try it for Filipina features. Be the first to explore the lovely spring collection of Canmake and get a chance to win prizes during the event. Of course, everybody goes home with a gift! Sign ups are now closed. We hope to see you in future events! 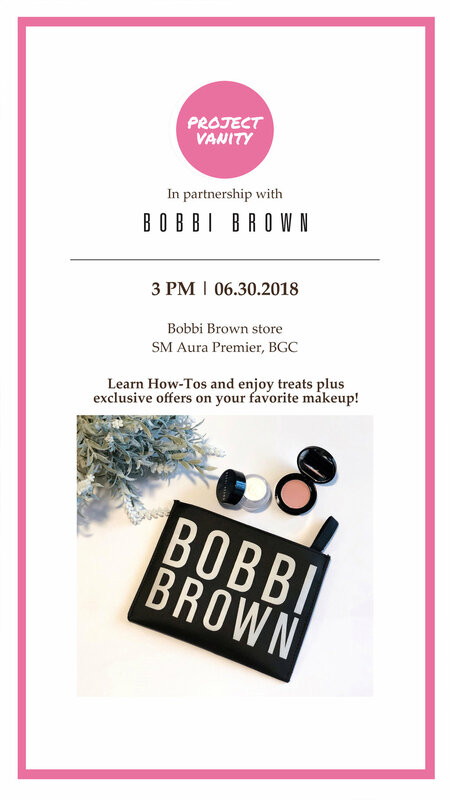 Bloom With Canmake is happening on April 13, Saturday, 1:00-3:30 PM at Beauty Bar inside Central Square, BGC. This event is free, but there are limited slots only so please sign up ASAP. Please leave your details below and we’ll contact you within 48 hours to confirm your attendance. See you! Project Vanity’s 11th Anniversary Event theme this year is “Beauty But Better”. We want to push the message that physical beauty is just one aspect to work on; there are other areas in our life that we can beautify and improve. If we are to be better people with a better life, we need to put in the time and effort to deserve it all! We hope you can join us on April 6, Saturday, 12nn to 6pm, at the Rockwell Club (beside Powerplant Mall, Makati). We will have a full day of talks and demos to inspire us all in our #beautybutbetter goals! We also have booths for you to check out from Ellana, Himawari, and In Her Element, and of course a gift bag from us worth over P7,000. 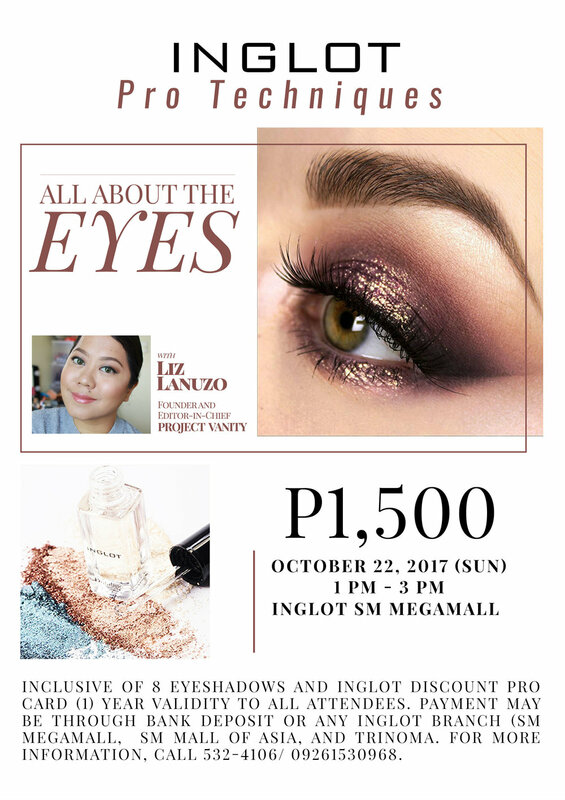 Expect goodies from our generous sponsors: Sephora, Ellana, Himawari, In Her Element, Belle De Jour Power Planner, Happy Skin, Solique, Pink Sugar, Zenutrients,Colourette, and Dr. Morita. For the activities, we have prepared four segments for you! We are also glad to welcome The Foundation Foundation, a non-profit group dedicated to helping women who are victims of human trafficking, at our event. They create self-care kits from your makeup donations, which help their beneficiaries regain their self-confidence. Please bring beauty products at the event to donate - as long as they’re in a good, sanitized condition that you would give to a friend, they want it! More details on how to donate here. Excited? Yay! Please purchase your tickets above. It is P1,595 and includes drinks and light snacks at the venue. Having foundation-optional skin takes a lot of work (unless you got lucky in the gene pool) but it's certainly possible! At our first Origins x Project Vanity Skin Sessions for the year, we invite you to learn about the skincare routine you can follow from AM to PM with the goal of clarifying your skin so that if you don't feel like it, you can skip the foundation. The intimate event is happening on September 6, 1:30 to 3:30 PM in Origins SM Makati. All guests will come home with an Origins gift. <3 Sign up below and see you there!